Teacher Ms H ~ Third Is the Word: Summer Countdown, Motivating Notes, Teacher Appreciation, and Giveaway! 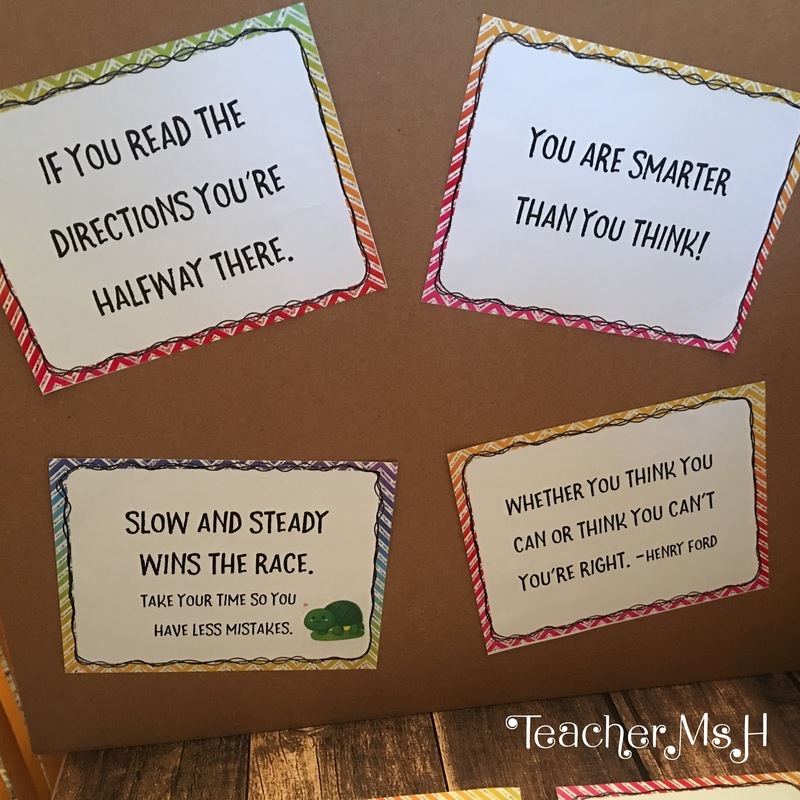 Summer Countdown, Motivating Notes, Teacher Appreciation, and Giveaway! I hope you have had a wonderful school year so far. I'm sure many of us can't wait for summer but this year I just don't feel ready to give up my awesome group of kiddos. Anyone relate? 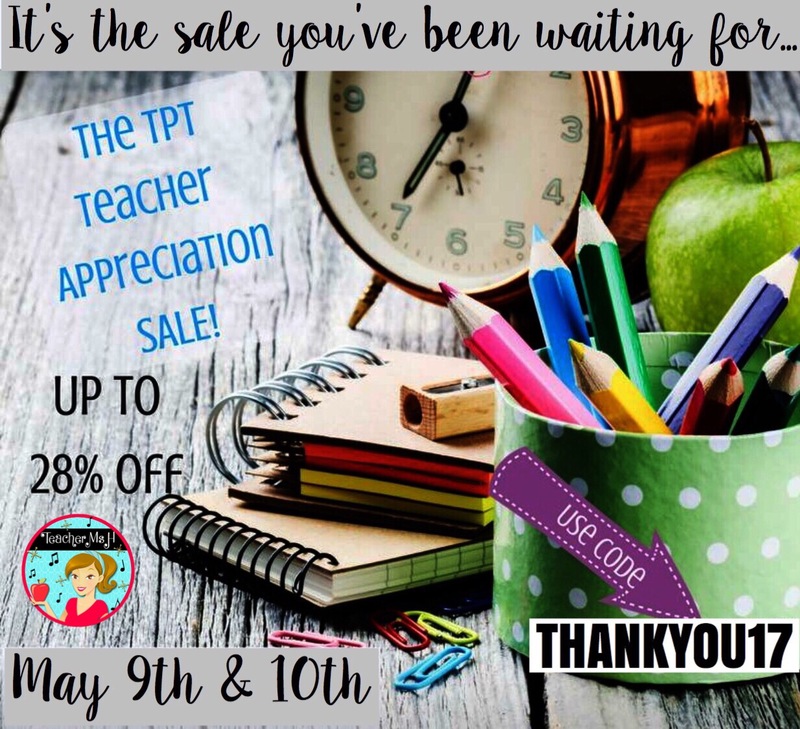 In case you haven't heard there is a site-wide sale going on at teacherspayteachers.com, and my entire store is on sale. Use code; THANKYOU17 to save up to 28% off at checkout. May 10th is the last day so hurry over! Also, I have a few new resources that are over 50% off the for the first 48 hours (plus the 28% off discount if you get it during the site-wide sale. 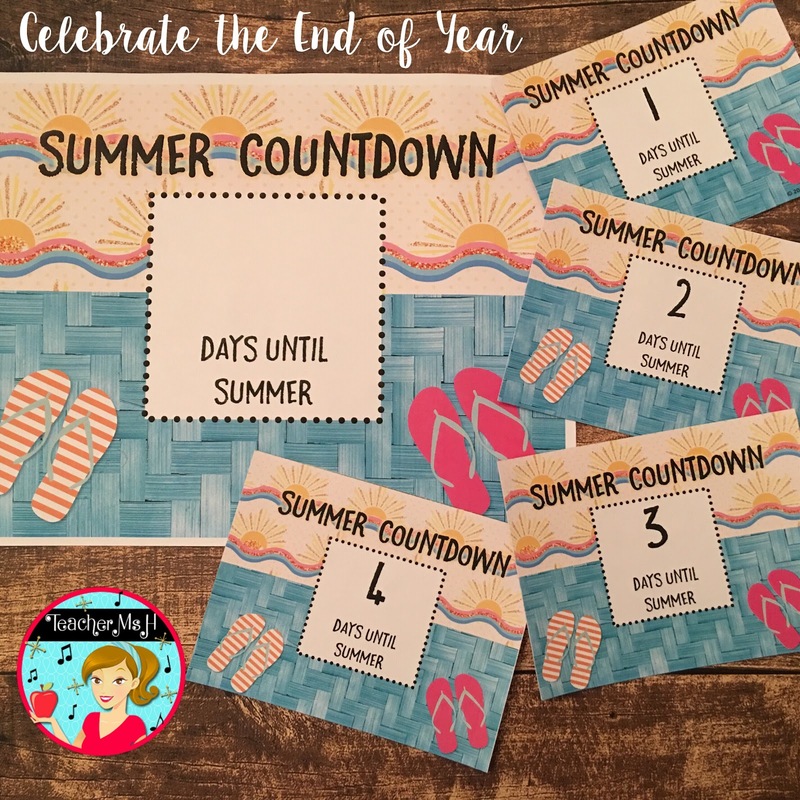 The first one is a Summer Countdown activity for your classroom. 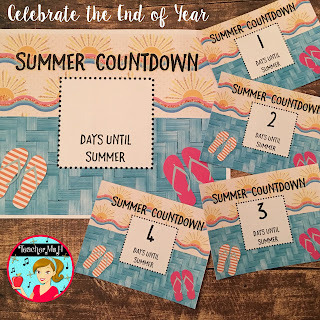 Now that the stress of two weeks of state testing is over, we could use a long summer break to recover, so I made this countdown for my classroom. The second resource on sale is Motivational Testing Notes for your students. 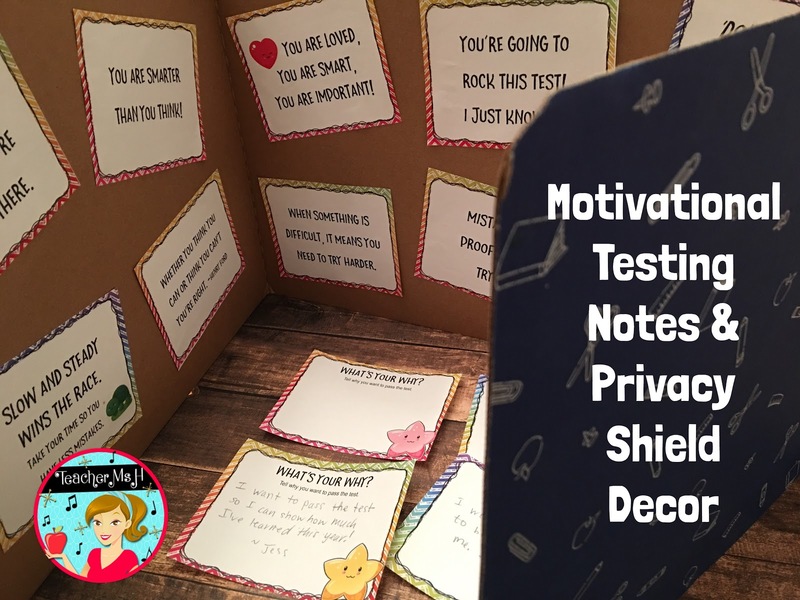 I recently used these in my classroom for our state testing and I was surprised at how much students appreciated these notes, especially since they had been using to getting snack themed notes. More importantly, students were asked to explain their "Why?" and write it on one note with this task. I asked students why they wanted to pass the test and they actually gave awesome reasons and it helped them set some sort of goal for themselves. 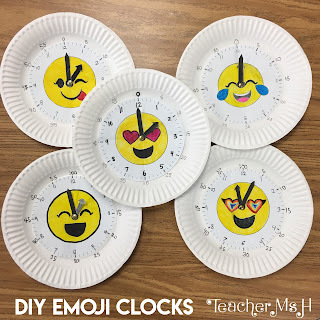 Another new resource that I posted earlier this spring that was a big hit with my students are these DIY Emoji Clocks that we used during our telling time lessons. Students get to choose their favorite emoji, color it in, label the clock, then put it together so they might use it during math practice. I decided to put these on sale as well, at half price, so with the THANKYOU17 code at check out they are over 50% off during this sale! Looking for some awesome FREEBIES? 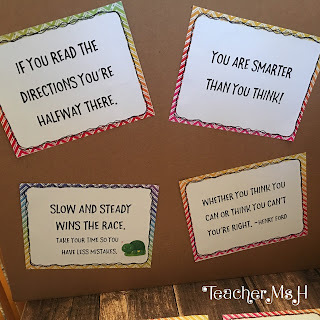 Check out this link to see 20 different resources ideal for 3rd Grade and upper elementary! Be sure to leave a review. 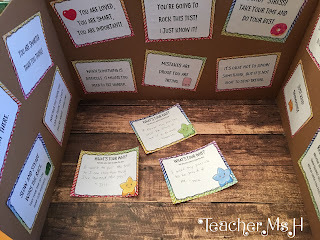 You will also want to check out this awesome giveaway for a $75 Teachers Pay Teachers Gift Card organized by Kelly Malloy over at An Apple for the Teacher. It ends 5/13/17 so hurry over! Finally, if you aren't on my email list yet you'll want to subscribe to get access to exclusive subscriber freebies. 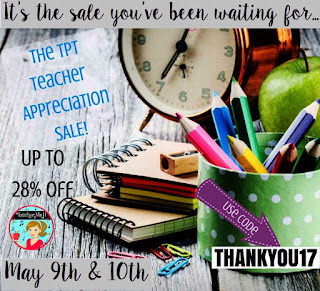 I only email out a newsletter with links to free resources, giveaways, and sales a few times a year since I know teachers are too busy to keep up with lots of emails. I would like to personally congratulate you as your blog Teacher Ms H has been selected by our panelist as one of the Top 50 Third Grade Teacher Blogs on the web. I personally give you a high-five and want to thank you for your contribution to this world. 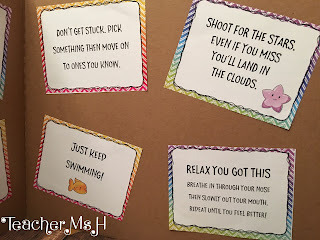 This is the most comprehensive list of Top 50 Third Grade Teacher Blogs on the internet and I’m honored to have you as part of this! Thank you so much for this wonderful honor!